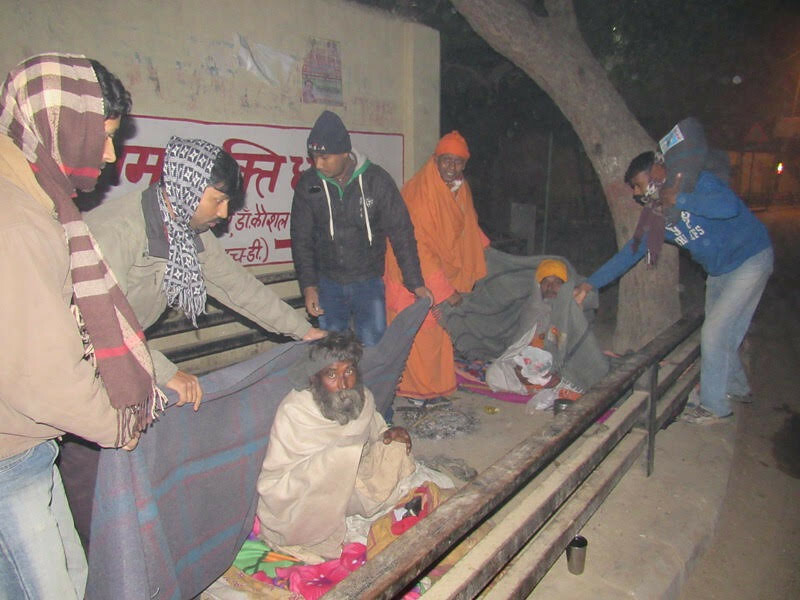 Vrindavan Dham is a resort not only for sadhakas but also for many destitutes who are otherwise deprived of food and shelter. 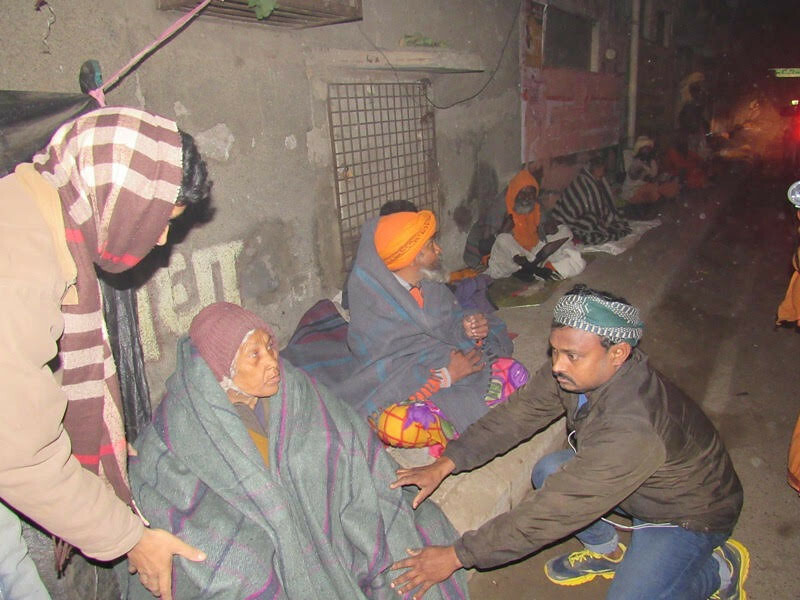 Many such destitutes live on the roads or on the verandahs of shops etc. 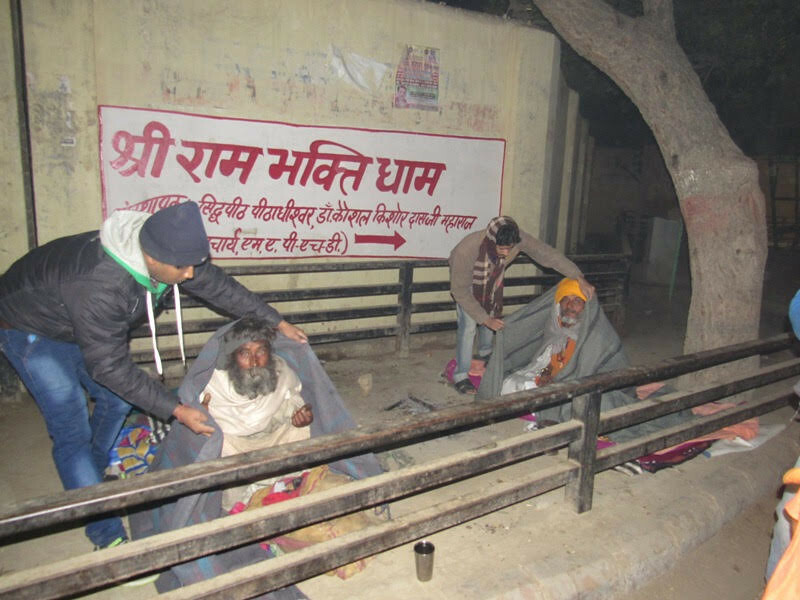 The plight of these destitutes during these cold days of winter can well be imagined. 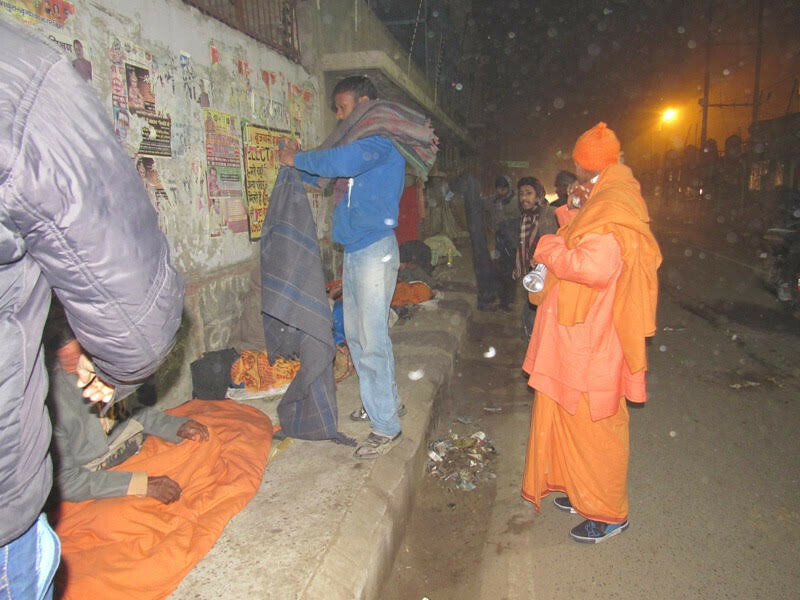 In order to serve those shivering with cold, the sadhus and volunteers of our Vrindavan Sevashrama goes on to the streets of Vrindavan every year in the late night with blankets and cover them over these destitutes sleeping over there. 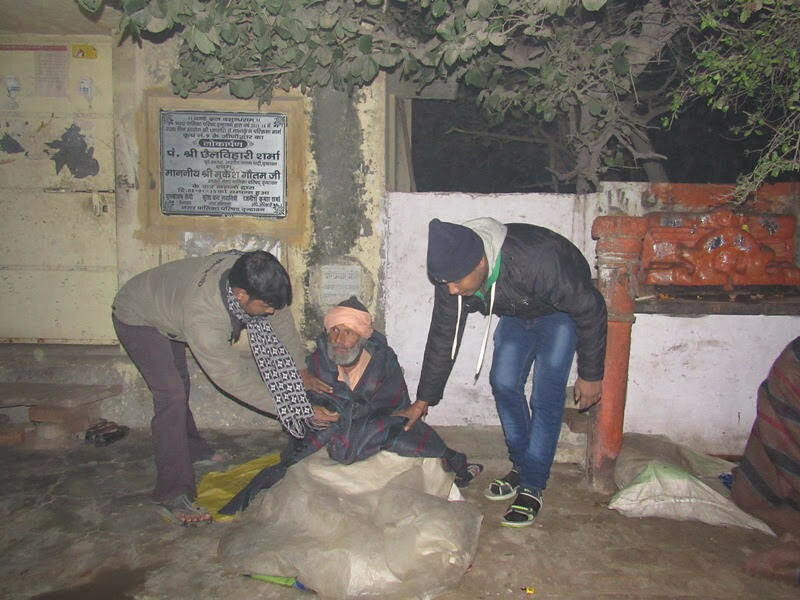 They distributed more than 200 blankets this year.